In 2016 I wrote a bunch of book reviews for dozens of books. Writing them was fun, and a few of you readers seemed to really like them. But they took a lot of time to create, which is something I don’t have a lot of. This year I’ve decided to transform my book report strategy. Instead of reviewing every book I read this year, I’ll only give you brief pitches for the top 10%. 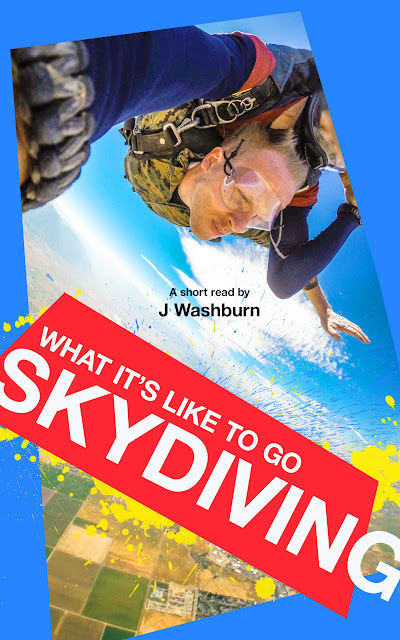 But if you want to know about every book I read, follow me on Twitter: @jtraviswashburn. Having said that, I skipped one book report in 2016 that I’m excited to share with you (it just took me a long time to create—producing a video is hard!). It’s for a book called HAMILTON: THE REVOLUTION. 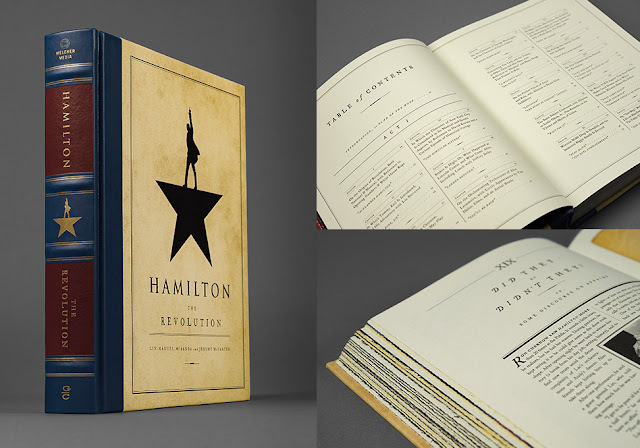 It’s a short book by Lin-Manuel Miranda about writing his famous musical. Instead of writing a report, I decided to record a track for you. This seemed like a better way to pique your curiosity. As you'll notice in the video, I bleeped out a few words. This musical has a lot of adult themes throughout and some colorful language. Make sure you check that against your tolerance level before you sink $1000 dollars on tickets. Thanks for being a reader/listener! When will the sequel to ECKSDOT / SONG OF LOCKE be released? 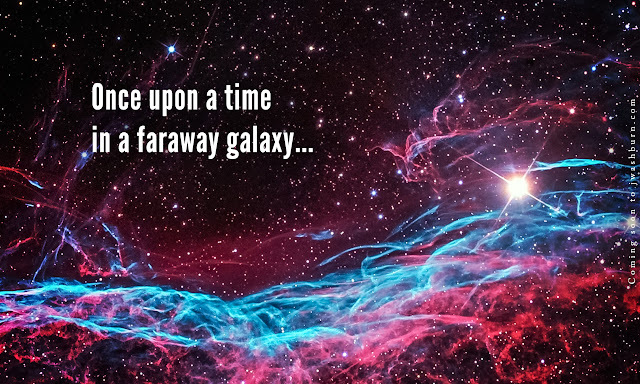 I’m currently working on a space fantasy called STARCHILD. It will be a trilogy of novellas. So why did I start a new series rather than finish an existing one? 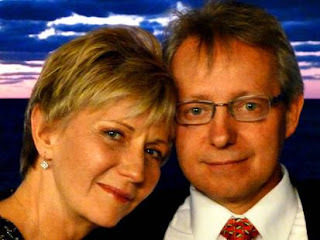 It’s a business decision: The goal is to earn enough money to switch to being a full-time author. Which will mean I can publish books for you faster. 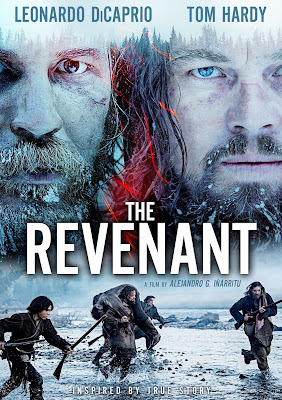 The first consideration is the limitations of a sequel. A sequel can only sell a percentage of what its predecessor sold. 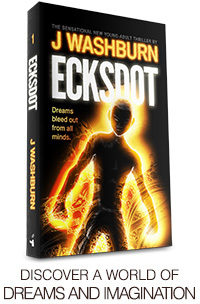 So if I write LOCKE: AZURE WINDS, it won’t sell more copies than I’ve already sold of LOCKE: DARK EMPYREAN. And while I’ve sold a couple thousand copies, it’s not enough. The same goes for ECKSDOT and its sequel METAMORPHOSIS. Of course, if I finish a series, that will make people more likely to buy the first volume, right? True. Which leads to my next consideration: how long will it take to finish each series? SONG OF LOCKE is 135k words long. If I write miraculously fast, I might finish the next book in 1 year. So it’s a minimum of 2 years to complete the series (but, let’s be realistic—it’s probably more like 4). ECKSDOT has 4 volumes in the series, so we’re talking 3 (or 6) years to complete the series. But with STARCHILD I’m taking a different strategy. Each episode will be a novella about 50k long, or 150k total. Basically I can write all three of those in the same amount of time it would take to write one sequel. So I asked myself, which would sell better: a middle novel in an unfinished series, or a trilogy of novellas in which the first one is free? In sum, writing STARCHILD is (hopefully) a 1-year project. It will give me a quick route to a marketable, finished series, which I imagine will help sales. That income will in turn give me more writing time, which means the sequels you’re dying to read will come out sooner. This schedule just means those sequels will have to wait one extra year. The good news is that I will finish—I promise. Patience, young padawan. And even with this delay, I expect to finish before George Martin finishes GAME OF THRONES. And probably before Sanderson finishes THE STORMLIGHT ARCHIVE too. Besides, you’re going to love STARCHILD. I watched a documentary about Edward Snowden called CITIZENFOUR. It includes tons of raw footage of Snowden in his hotel room after his escape from the U.S. but before he made his intentions known. 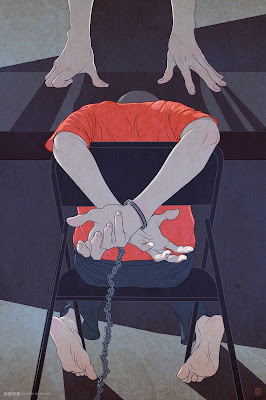 The pacing is actually a little slow, and yet it’s pretty exciting to see a real-life fugitive in that vulnerable moment—just before the point of no return. 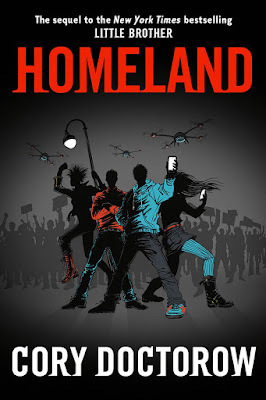 As I watched that movie, I caught a glimpse of a novel on Snowden’s nightstand called HOMELAND. I Googled it and found out that it’s the sequel to a young-adult novel called LITTLE BROTHER. The title is a reference to Orwell’s 1984, and the book is about a kid who fights an overreaching, surveillance-state government. It’s the exact sort of thing you’d expect Snowden to be reading. It only has a tiny bit of sci-fi in it (but I was impressed that the author basically predicted Pokemon GO). The book hails tech and geeks. A few things even reminded me of READY PLAYER ONE, but this book is much rougher on the edges and more realistic too. (That means it has a little swearing and some scenes I think a few of you will prefer to skip.) Mostly it’s about terrorism, hacking, and fighting a police state. There’s definitely some propaganda in its tone, but there’s plenty of good stuff too. 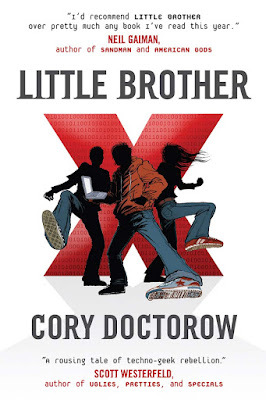 The guy who wrote LITTLE BROTHER is named Cory Doctorow. And he’s a man who believes in open-sourcing things. Which means he gives away his books for free. (He also sells them, by the way, and they’re available for purchase on Amazon and Audible.) Which means I can legally pass them along to you as a Christmas gift (/discovery)! Pretty cool, huh? I know they may not be everyone’s cup of tea, but a few of you will love them. Now you have something to read on your new Kindle / phone / tablet / Chromebook. 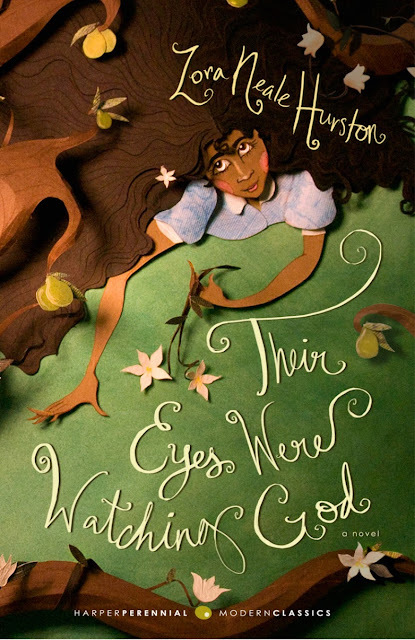 A close friend recommended Their Eyes Were Watching God. It’s one of his favorites. This is a character drama. 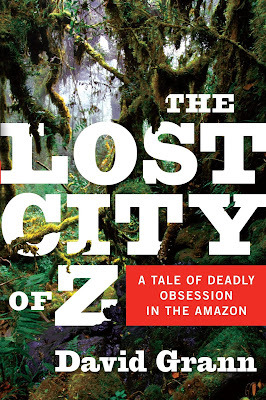 It’s not about lost cities, black holes, or spaceships (which is mostly what I’ve been reading lately). It’s about people. Specifically black people in Florida a century ago. 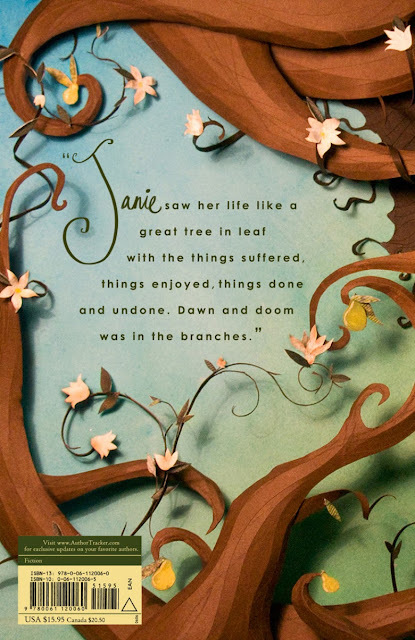 A woman named Janie is the protagonist. I appreciate characterization in a novel more than concept, plot, or setting. So I liked this one. 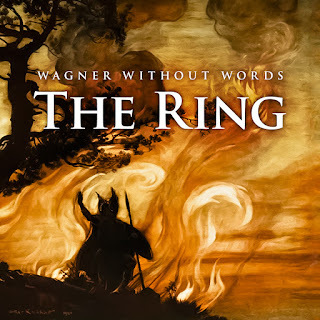 I listened to the audiobook, and the narrator is incredibly talented. She sounds distinguished as she’s reading the poetic sections, and then she’ll transform while reading a character’s prosaic dialog. I was super impressed, and I listen to a lot of narrators, so I would know, ha ha. 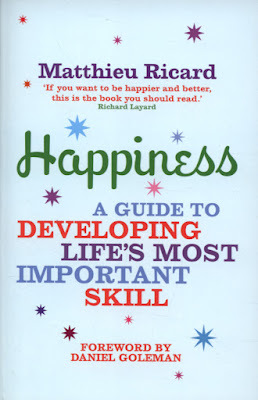 This is a book I would quickly recommend to anyone who enjoys reading. Man, this book was over my head. And yet, it drove me to Wikipedia. So let me share a few of the things I learned. Einstein developed his theory of Special Relativity first. It’s mostly about space and time. And it says that any two events which are separated by a spacetime interval (a 4D distance) will have variance based on the viewer’s inertial point of view. What! Yeah, it’s dense. Here’s a down-to-earth example. Say you have two perfectly accurate atomic clocks. One stays on earth, sitting on the ground right next to where you are now. The other goes up to the International Space Station, which is zooming along at 17,136 mph! After two years of these clocks traveling at different speeds, the one in space will be about 0.02 seconds behind the one next to you on the ground. So the faster one moves relative to the other, the greater this discrepancy becomes. No, this isn’t just a crazy theory. This actually happened to Sergei Vasilyevich Avdeyev, who spent over two years in space zooming along at insane speeds, and when he came back he was 0.02 seconds younger than he ought to be. 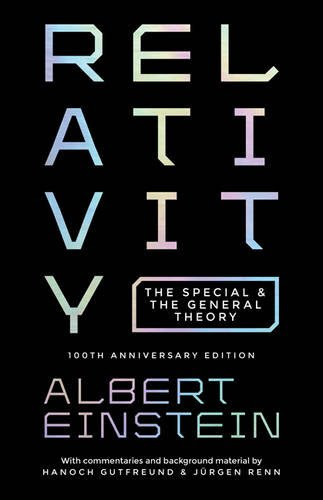 Einstein’s second big theory was called General Relativity, and it’s about gravity. It says that spacetime gets curved by the energy and momentum of matter. General Relativity actually says that the closer you are to a source of gravity, the slower your time will go. So let’s go back to our two atomic clocks. This is another actual experiment they’ve done. You put one atomic clock on a mountaintop, further from earth’s center of gravity, and you leave the other on the couch next to you. The one next to you will tick slightly slower than the one on the mountain. Because of this same effect, they’ve calculated that the core of the earth is 2.5 years younger than the crust where we live. More gravity means slower time. Of course, these are all relatively small numbers. But scifi geeks known that as you go faster and heavier, the effects become greater, like you see when Ender travels at lightspeed (Ender’s Game) or when Murph’s dad lands on Miller’s Gargantua (Interstellar). You’re thinking that’s pretty weird. But it gets crazier. Imagine you’re in Spaceship X and out the window you see Spaceship Z come zooming by at something close to lightspeed. And let’s say you can see a clock inside the other ship as it passes. To you, in Spaceship X, it would look like your watch is ticking just fine and the clock in Spaceship Z is ticking really slowly. Now, common sense would tell you that if his watch looks slow to you, then your watch would look fast to him. But relativity is relative. Meaning it doesn’t matter whether you think your ship is moving at light speed and the other one is parked or if you’re the one parked and the other is moving. The only thing that matters is how you seem to be moving in relation to each other. And you’re each moving fast in relation to the other. So that means if someone in Spaceship Z saw your watch, it would look, to him, like it was also ticking really slowly! This blew my mind. It doesn’t seem to fit. Or didn’t, until I read this metaphor. Imagine you had a clone. And you magically shrunk this clone so he was about as big as a sylphe. (That’s a thumb-sized being, if you haven’t read SONG OF LOCKE). He seems very small to you. And when he looks at you, you seem very big, even though your size hasn’t changed. This example shows a literal change of scale. Now imagine you have another clone, and he’s still your same size, but you order him to climb to the top of that mountain in the distance. To you, he now looks very small. But does that mean you will look very large to him? No. Because he is also seeing you across the same vast distance. In short, you appear large if seen within handshaking range, but you appear small if seen from a great distance. It’s not actually a paradox then, is it? If I’ve piqued your curiosity for more of this stuff, take a look at the Ladder Paradox, which will teach you about length contraction at high speeds! 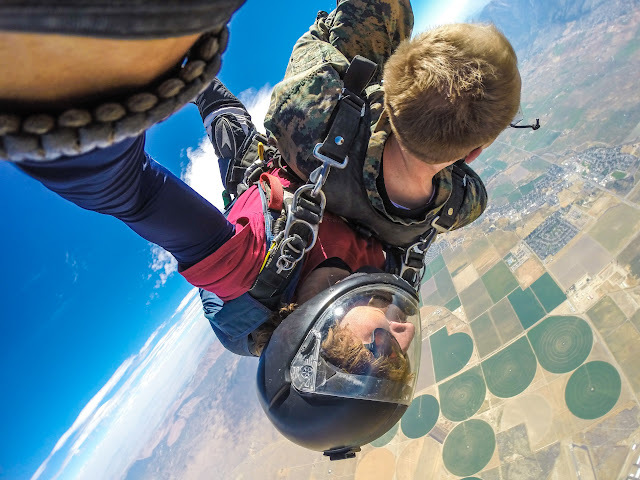 I went skydiving a few weeks ago. I’m an author, so naturally I wrote about it. 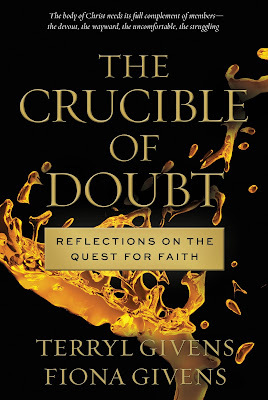 If you want, you can now buy it on Amazon for $2.99. Dark matter is a type of matter. It’s not dark in color. And it’s not evil. It’s actually more like transparent matter, meaning it doesn’t interact with light or anything else on the electromagnetic spectrum. At least not in a way that is strong enough for us to detect. At least not yet. So dark matter kind of goes on its merry way, ignoring us. In fact, odds are that you’ve had a few particles of this transparent matter pass right through you sometime in the last hour. Yep, it’s true. Dark matter is crazy stuff. But dark matter does have mass. It’s a real substance. In fact, about 27% of the total mass and energy in the universe is dark matter. So nearly a third, right? Which doesn’t seem like too huge of a number. But guess what percentage ordinary matter takes up? You know, ordinary matter, like carbon atoms and H2o and the other stuff we can touch… Ordinary matter is only 5% of the universe! That’s means our whole planet is a pretty unusual occurrence when you glance around space. So if we can’t see dark matter using light or infrared or Superman vision, then how do we know it’s even there? They’re not sure what it is, but they know a few things about it, like that there’s a lot of it and that it doesn’t interact with light. So they decided to call this mysterious thing dark matter. It’s just like the thing hidden inside the bag—we see its effects, but we haven’t gotten a good look at it yet. This is what Dark Matter and the Dinosaurs is about. Want to know my favorite part of the whole book? 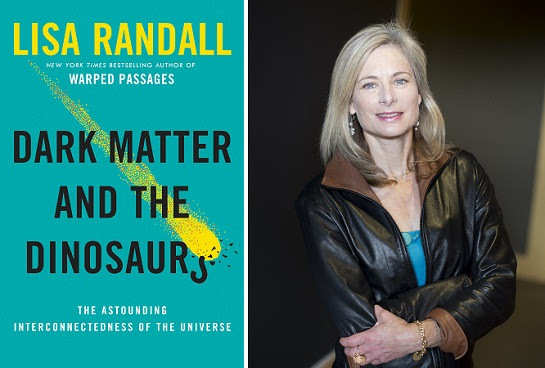 The author, Lisa Randall, speculates on dark matter and dark energy, which leads to her wondering about dark light and dark life. In other words, she, a famous particle physicist and an atheist, believes there could be a type of life with actual mass that is right next to us but undetectable! This, to me, sounds exactly like she’s describing the spiritual realm from Avatar: the Last Airbender. A famous scientist is saying this is possible! Amazing. In conclusion, this is an interesting book. Oh, and aside from dark matter, it gets into comets and meteoroids and the Kuiper Belt, which sounds cool but wasn’t quite Stephen Hawking good. P.S. Dr. Randall reminds me of Ellie Arroway from my favorite book/movie CONTACT. 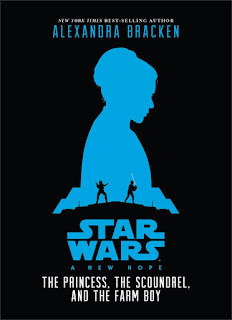 The beginning is told from the perspective of Princess Leia—the opening scene on the rebel ship and the droids taking a secret message in search of Ben Kenobi. Then the viewpoint switches to Han Solo, and you see his surprise when a strange old man chops off somebody’s arm in a bar. This perspective continues through the whole Death Star tractor-beam and rescue of the princess part, Act II, so you get to see lots of Han’s attitude and get a better understanding of why he’s so concerned with money (Jabba!). The last section, the Death Star trench run, is told from Luke’s perspective. The movie favors Luke’s perspective throughout, so it’s cool to get more depth from these other angles. The author digs deeper into a couple of things that get skimmed over in the movie. For example, Leia’s whole home planet gets destroyed in the movie, and we only see her mourn for a couple seconds and then it’s never mentioned again. In this book version, this is a lingering theme, which seems more true to human character. The same is true of Bigg’s death. Although I still think Uncle Owen and Aunt Beru are a little underplayed. I have the movie of A New Hope memorized, which made me appreciate this retelling. I can imagine the film could be pretty awesome if it were rebooted. That’s not to say it might not also be dumb, but I do think the story could grow with some added creativity and interpretation. I’d recommend this book to any young readers who love Star Wars but don’t read very often. I was expecting a thriller. Something like Dan Brown with more tech. Turns out it was quite different. Mainly it surprised me by its tone. I expected a business-like narrative, gray suits and red ties. Instead, it’s hilarious, filled with wryness (“dry, mocking humor”), much of which is from the narrator, but a lot is from the characters as well. It actually reminded me of Mark Twain, sort of an “I’m cleverer than all this and all of you.” I found myself laughing aloud as I went, quite often. Really, props to Stephenson for his wit. I was also duly impressed with how he weaves together his plots. One plot follows a U.S. Marine during WWII as he discovers Nazi treasure in a U-Boat. 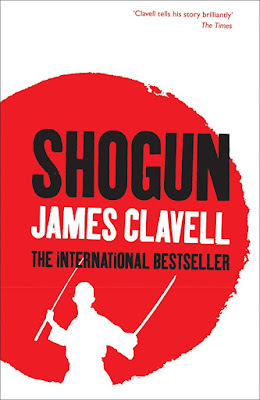 Another arc follows this Marine’s Japanese counterpart/enemy. Another storyline follows Alan Turing and a few other brilliant code-makers and breakers (have you seen The Imitation Game?). And a last takes place in the modern world, deals with internet cryptography, and collects the pieces lefts by the other (historically earlier) timelines. These plotlines all play out simultaneously. I felt ungrounded and lost in the first quarter of the book, not knowing who to empathize with and relate to. But once I gained a footing, I really liked the weaving. But despite the impressive plotting and clever diction, I quit listening right around 50%, which was a little too far already. Why? It was too crass. Too many base and sexual topics. Oh, and it was sprinkled with strong language. Tim Ferriss doesn’t like to apologize for the rough language on his podcast, so he probably won’t understand this critique. Sidenote: this isn’t the first time I’ve been underwhelmed by his fiction tips (Zorba the Greek!). I guess we’re not quite aligned on what we like. It’s not that I find it offensive, Tim, and I’m not making a moral judgement against you. I’m just saying I’d rather talk about something else. It’s the same with bathroom functions. Yes, humans use the restroom frequently, but that’s a detail I’m glad to skip over in a book. Thank you very much. Aside from that, this was a great book. Hats off to Neal Stephenson. If you’re a sensitive reader looking for a better option, read Catch-22. By the way, I love titles, and that’s partly how Cryptonomicon caught my attention. But it’s one of those you have no idea what it means till you’ve read it, so I’ll explain. In this story, the Cryptonomicon is a book (or rather a collection of papers) on cryptography that the protagonists both use and compile as they go. Here’s what’s coming next, a group of sci-fi-ish titles to help me prepare for STARCHILD. I’d love to have you read along with me! Seven different people recommended The Name of the Wind to me. Which inevitably led me to high expectations. I haven’t read a ton of fantasy. I love Lord of the Rings. I’ve also read Game of Thrones and tons of Brandon Sanderson. Aside from that, I’m a little unfamiliar with the genre. Oh, I wrote one too. Anyways. My reading history and all the raving reviews made me expect a sweeping epic about the battle between good and evil. The beginning of the book starts in this direction. There’s some terror on the road, which leads villagers in a small inn to telling stories around a hearthstone. It reminded me of Tristram and Diablo. But the initial setting is simply a frame for the actual story. Kvothe, the main character, starts relating the tale of his life, beginning with his boyhood. And that story is a more mundane drama. I don’t mean that as an insult, just as the opposite of an epic. (In fact, I rather like compelling stories about mundane, real-life problems.) 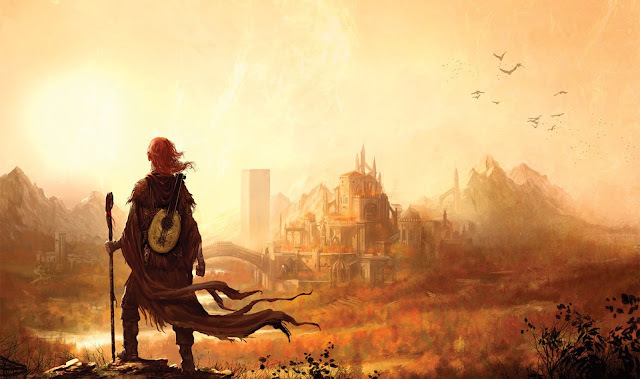 Kvothe’s main conflicts deal with earning and spending money, social battles with an arrogant bully, and winning the heart of a potential girlfriend. Mundane. It’s also a relatively slow, meandering narrative. Almost like a D&D campaign, with one conflict rolling along into another without a strong central crux. (I read that Patrick Rothfuss is into D&D, by the way.) 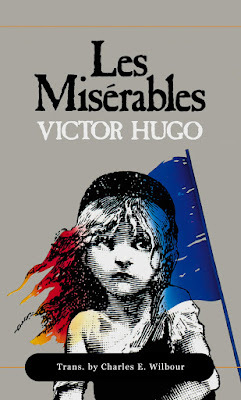 All in all, you spend 600 pages reading, and you’ve really just gotten through act I of a much larger story. That said, it’s still a pretty enjoyable book. For example, when Kvothe defends himself in front of the nine sages on the university council (something akin to Harry Potter at Hogwarts), I’d just arrived at work and had to keep listening to know how the scene ended. That doesn’t happen to me often. So, yes, I liked it. And I’m excited to read the sequel. But, just so you know, it’s not on my top 10 or anything. A couple small things bugged me, like the fact that no one had heard of “the Common Drakus” before. This creature is too extraordinary and living too close to humans to have been anything less that the stuff of popular legend. Denna and Kvothe’s relationship seemed a little weird to me too, that their only problem is that they never communicate. I hate finding that in stories. It’s frustrating. But maybe it’s more true to life than I’d like to admit. 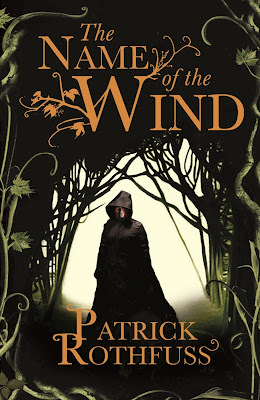 The Name of the Wind is a good book. A fun book. 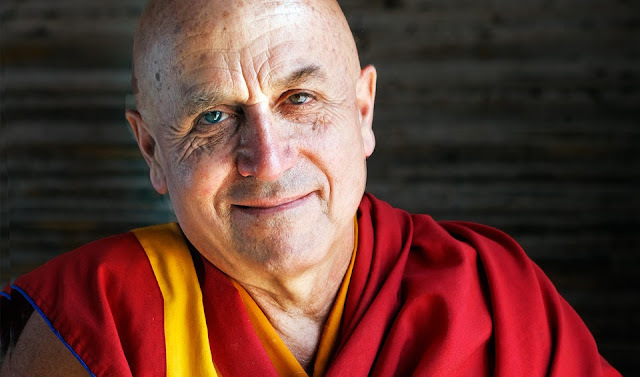 Matthieu Ricard, a Frenchman, earned a Ph.D. in molecular genetics—so his origins are based firmly in science and intellect. 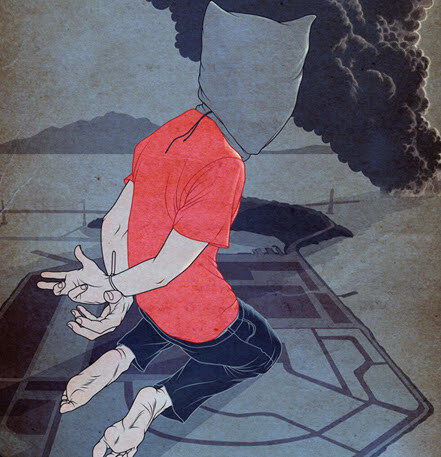 When he began searching for a missing piece, he found answers in Buddhism. One of my favorite metaphors was this: Imagine the sea roiling and enraged with giant waves. Now dive beneath that surface and discover that underneath the water the sound and fury and motion have all been stilled. That’s the inner peace that Po from Kung Fu Panda was looking for, the deeper stillness that exists even during immense storms. Okay, that’s all I got. Thanks for reading! 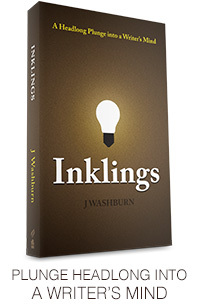 If you have friends who will like these book reports, send them here: http://theinformant.jwashburn.com. When I was a kid, our neighbor’s cat died. I was about 10 years old, which means my brother must’ve been 6. That made him the perfect sidekick. I told him to call me Tom, and I called him Huck. When Mitch was around, we called him Joe Thatcher, but Joe wasn’t around for this one. We didn’t want to touch the dead cat, so we got a plastic bread-bag and stuffed the fluffy corpse inside. 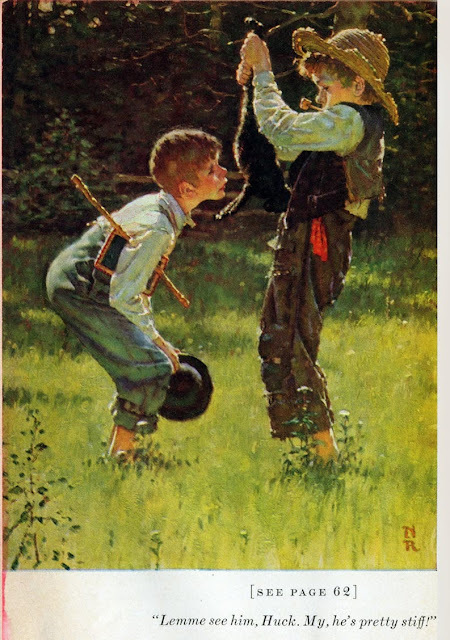 And we felt awfully lucky to have found it—because we’d read Tom Sawyer. 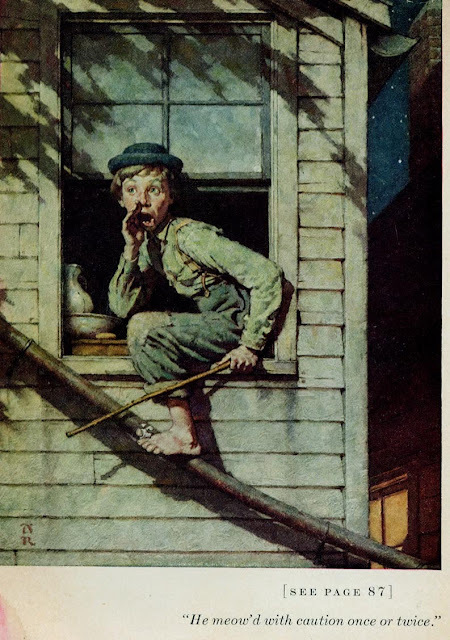 We made a plan to sneak out at midnight to use the dead cat, only we hadn’t yet made a ladder for sneaking out the bedroom window. It would’ve been easy enough to just walk out the back door, only that wouldn’t have been proper, and we wanted to do things proper. Over the next few days, we built a ladder out of a couple sapling trunks and baling string, thanks to what we’d learned about lashing in Cub scouts. It was pretty wobbly, but at least it was tall enough. Putting the ladder against our window meant going to the side-yard, which had enough trees and shrubs that it never got much sunlight. Think Mirkwood. And crawling between the brick wall and the unruly junipers meant entering an alleyway of spiderwebs. Also, any time we touched the junipers, stuff would fall down the backs of our shirt necks. We squinted and braved our way forward, using a stick to clear our path. Then we deposited the ladder in its place below our bedroom window. We also pulled the screen off. I promise, this all really happened. Incidentally, our bedroom had a window in the back-yard too, which was completely clear of foliage. But, again, that was too easy. It wouldn’t be proper. My brother and I slept on bunk beds. I had the top. And it was the perfect dock for climbing down and out the window. We stayed awake, talking quietly so mom and dad wouldn’t come shush us and give us a talking to. At a quarter to midnight, we crawled outside into the night. The moon wasn’t full, but it was bright. We ran down through the front yard, across the street, and into the cow pasture where we’d left the cat in its plastic bag behind the shed. “Oh, gross!” I said when I smelt it. As we approached, we realized it wasn’t a bag of fluff anymore. It’d had gained a layer of juice. You can image our faces. We jabbed a long stick at the bag till the end caught. When we lifted the bag, the cat didn’t flop around anymore like it used to. It stayed in the exact same shape, stiff as a board. We carried it about 20 feet from the shed to roughly the same spot dad had buried a dead calf not long before. We dug a shallow grave and put it in. Even if we’d had a ripe cat, we hadn’t planned beyond midnight, so we decided to head back inside. We climbed our wiggly ladder and crawled into our beds, giddy about having been out so late. We didn’t feel bad about how things went down either. We’d probably waited too long to do anything with the cat’s spirit anyway. 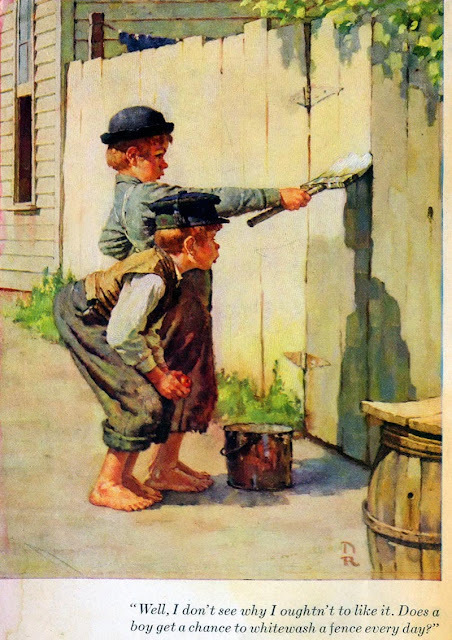 If you understand that passage, then I suppose you’ve already read and loved Tom Sawyer. If you haven’t read it, well, that’s the sort of escapade you’re in for. There’s murder and romance and other intrigues. Mostly it’s a solid character novel. I made a goal to not eat any food for seven days. I’m serious. No food for a whole week. Why would anybody do that? Well, I answer that question in an essay I wrote about it. “I loved reading this! It was an intense page turner which doesn’t happen in non-fiction for me very often. It is also full of really useful health concepts in an easy-to-understand format that still has me thinking about it long after finishing. 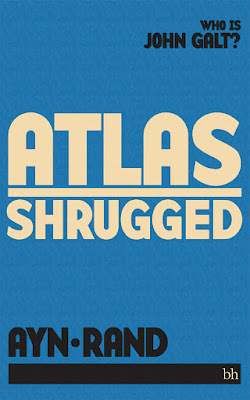 I plan to read it a second time!” — A. J. 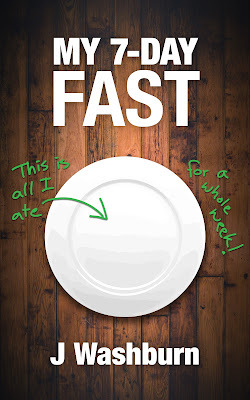 You can buy MY 7-DAY FAST for $2.99. Or, email me with your promise to post an honest review, and I’ll send you a review copy for FREE. Thank you for being a reader! Can’t wait to hear what you think!